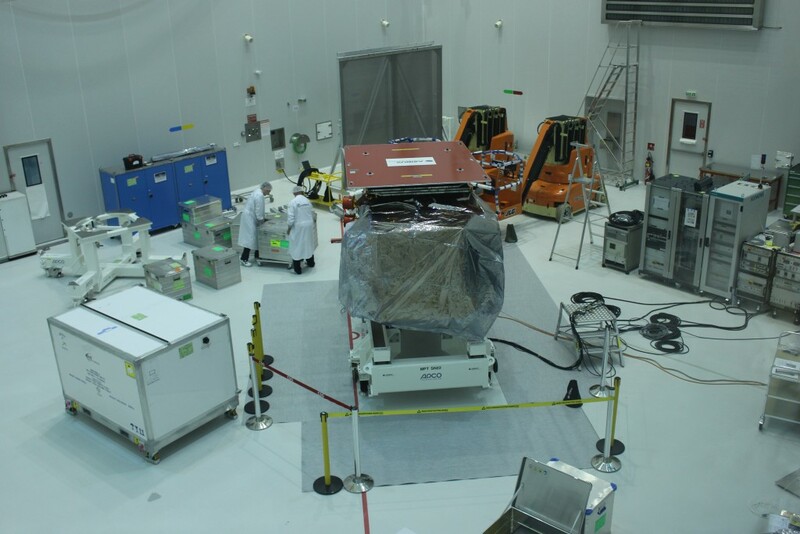 Following Sentinel-2A’s safe arrival in the cleanroom near the launch site in Kourou, the satellite has been removed from its container and each of the satellite components have been switched on to check everything is ok after the long journey from Germany. Cranes were used to open the container, unveiling Europe’s ‘colour vision’ satellite. Read more: Preparing to launch colour vision satellite. It was then time to bring in all the cables, computers and other equipment needed to connect the satellite to the electrical ground support equipment, referred to as the ‘EGSE’. Next to the cleanroom there is a ‘check-out room’ which, we also set up. This room, which is filled with computers and equipment, is used to monitor tests on the satellite. After all this some of the team managed to get a quick look at the Ariane 5 rocket on the launch pad, which is scheduled to launch at the weekend. 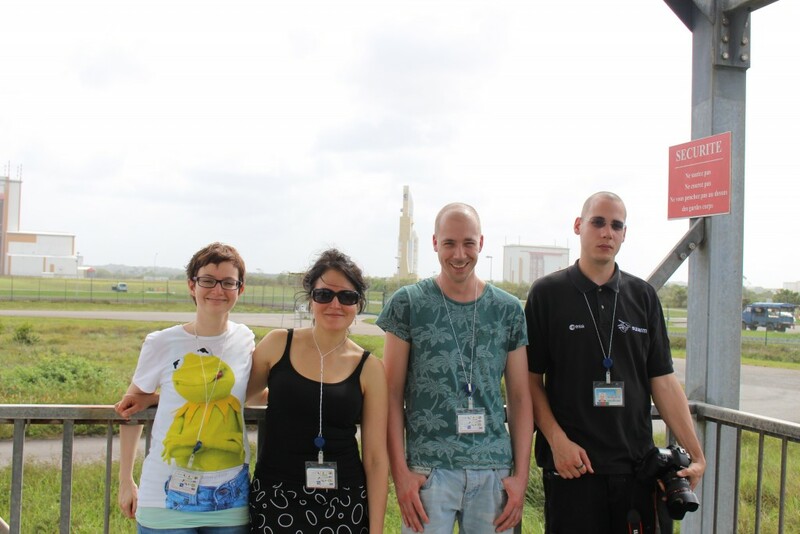 More of team members arrived in Kourou just before the weekend, so the ESA team is now 11 strong. 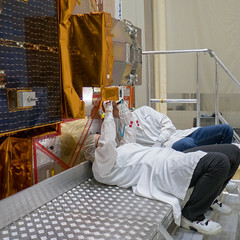 Saturday (25 April) was an important day – the satellite was switched on for the first time. All the satellite units were checked one by one to ensure everything is ok. ‘Concentration’ was the word of the day as the team from Airbus Defence and Space carried out the checks. In technical terms it’s called AFT – Abbreviated Functional Tests. Starting at 06:00, it took 10 hours, so it was a pretty intense day. 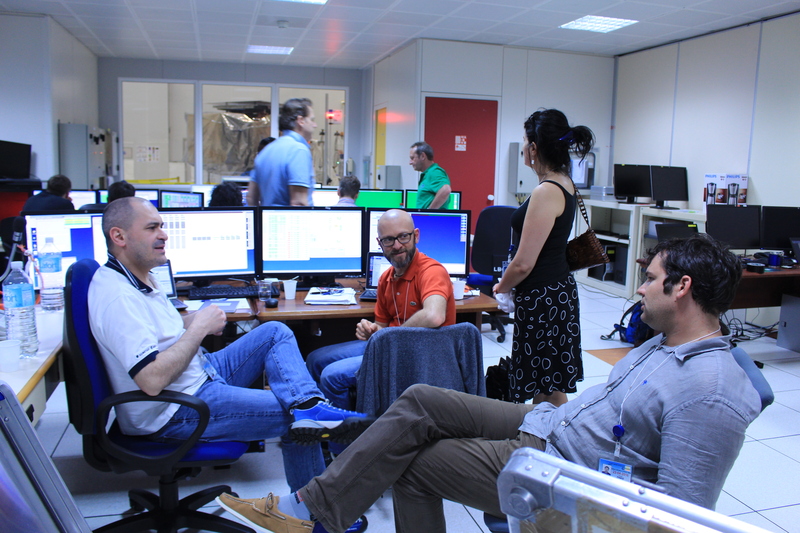 The ESA team monitored progress carefully. Tomorrow, we have a day off so we’re off canoeing in the jungle! And later hope to see the Ariane 5 launch. Flight VA222 launched on 26 April at 20:00 GMT (22:00 CEST, 17:00 local time). Read more: Ariane 5’s first launch of 2015.